Weight gain during the winter season seems absolutely inevitable. During winter’s the intake of lip smacking delicacies seems to be on a rise while the physical activity schedule goes for a complete toss. Reason? During winters not only would you get to witness a lot of weddings but a bunch of parties which bring in Christmas and the new year. Not to forget the cold weather compels you to reach out for some hot and warming foods namely burger, pizza, fried chicken, fries so on and so forth. While it might satisfy your hunger and make you feel really good did you actually realize how many calories have been gobbled up in one go? You may or you may not but its actually leading to the winter weight gain. But fret not keep the following tips in mind and you would be able to overcome the fear of gaining weight. Eat fruits and veggies for good health! 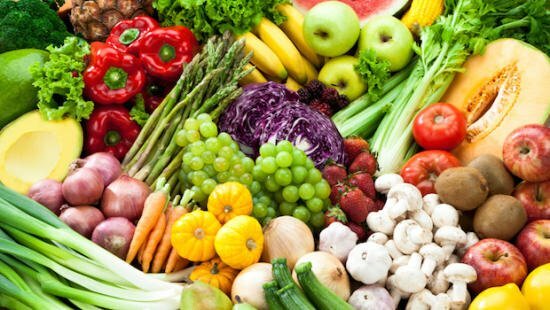 !Fruits and vegetables are a storehouse of fiber which can not only fill you up but would also provide you with a great dose of antioxidants and nutrients like Vitamin C, Vitamin A, Vitamin K, copper, iron, magnesium, potassium and folic acid. Stock up on fruits rich in Vitamin C such as orange, sweet lime, grapefruit, guava which can also help in keeping cold and flu at bay. So if you are planning to go for a party then consume a bowl of salad or stir fry before heading for the party or if at a wedding try and fill half your plate with salads minus the fatty dressings this will not only fill you up but would not allow you to over eat. Consume at least 2 servings of fruits everyday and munch on a fruit whenever you feel the need to snack. You can also add fruits to a bowl of oatmeal/sugar free muesli or add it to a bowl of yogurt. Drink enough water and have herbal teas! Water is very necessary if you have to detoxify your body and maintain a healthy weight. It helps you in staying full for longer duration and avoid over eating during any of the meals. Drink at least 12-15 glasses of water per day and if you are bored of the idea of having normal water then throw in some cucumber slices, lemon wedges, mint leaves and ginger. Not only would it impart a great taste to the existing bottle of water but will also help you lose weight. Add on a few herbal teas like chamomile, peppermint and lemongrass tea to the daily diet and reap numerous benefits. Herbal teas are minus caffeine and have a calming and soothing effect which would not only enable good sleep but will also aid in better digestion. Stay away from refined and packaged foods! While refined foods might look really tasty and tempting they are actually responsible in taking you away from your weight loss goals. Refined foods such as cookies, cakes, pastries, pasta, burgers, breads, doughnuts and pizza are loaded with refined flour our very own ”maida” which can lead to spike in insulin levels and speed up the process of fat storage in the body. On the other hand packaged foods such as maggi, soups, gravies, sausages are loaded with preservatives and excessive amounts of sodium whose excessive consumption can predispose you to various health issues. Rather than consuming these foods which can be detrimental to your health go ahead and consume foods loaded with fiber such as brown rice, oats, quinoa, barley, buckwheat or broken wheat. These foods would not only help you in staying full for longer duration but would also maintain the blood sugar levels to optimum. So ultimately the weight would stay in check and the winter season would pass easily without any weight blues. Eat a protein rich meal for a healthy you! Always aim at consuming a meal which is high on fiber, has moderate proteins and is low on fat. Proteins can help in curbing sugar cravings and aid in maintaining one’s weight. It can also balance the blood sugar levels really well. It has also been seen that foods with high protein levels have a low GI and hence can help you in losing weight. Consume foods such as paneer, Greek yogurt, soy, lentils, beans, chicken, fish, eggs, sunflower seeds, chia seeds, almonds, milk, soymilk and walnuts to get a daily dose of protein. Protein is enough to give you a feeling of fullness and protect you from going overboard where food is concerned. A bowl of soup during the winter season! Make it a habit to consume a bowl of veggie soup prior to your lunch or dinner. This practice would not only fill you up but will also make sure that you eat minimal food during lunch and dinner. This can also help you in managing your weight and increase your veggie consumption during the day. But make sure that you do not add too much butter or heavy cream to the soup. Prepare a fresh soup using carrots, tomato, cabbage, beetroot and add in some crushed ginger, garlic, black pepper and mixed herbs. This soup is excellent for weight loss and at the same time would protect you from cold and flu. You can also make a soup of your choice by adding kidney beans, sprouted moong, paneer or dal to the existing vegetable broth. Enjoy it warm! It shall soothe your throat and help you in managing the cold weather really well. Huda Shaikh is a nutritionist, clinical dietitian and Founder of Nutribond, an online healthcare center. She did her M.Sc. in Clinical Nutrition and Dietetics and has published several research papers. She also works with the Robinhood Army to educate children and women about nutrition.